Right now, thousands of Australian school children and university students are taking a well-earned break from the classroom. Long breaks like this help us clear our minds, but they can also provide an opportunity to prepare for the learning year ahead. If you’re a student, this might mean thinking about your study habits. Here are some suggestions to help you learn as efficiently as possible. Our brains are impressive machines, but they can’t handle everything at once. There is simply too much going on in our sensory environment for us to digest. To be effective, we need to direct our attention to just one or two tasks at a time. That generally means no background music – it won’t help you learn. Don’t be tempted to multi-task while you learn. When you do, your brain is actually trying its hardest to switch rapidly between tasks. 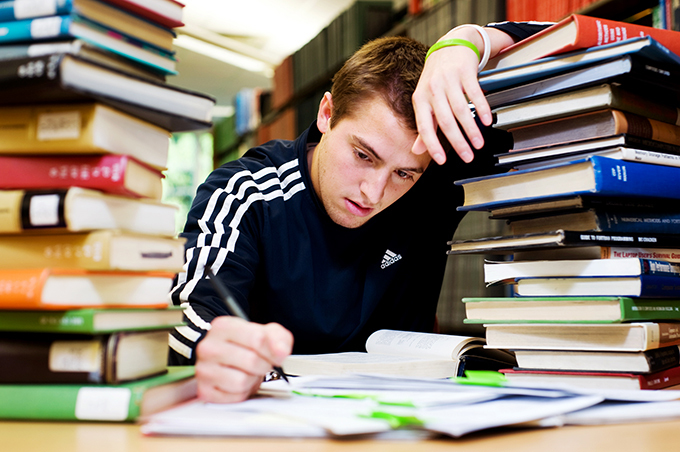 But whenever you get distracted and switch focus, it takes minutes to settle back into the groove of studying. Minimise your distractions and focus your attention on the task at hand. Learning isn’t easy, and being able to focus is important for digesting new information and understanding concepts. When you get a good night’s sleep, you feel fresh and attentive the next day. Sleep is also critical for what happened the previous day. Extensive work in both animals and humans shows a crucial function of sleep is to re-process and consolidate what happened during the day. For example, scientists have recorded brain activity patterns first while an animal learns a task, and again when the animal next sleeps. Remarkably, the patterns in sleep are strikingly similar to what is seen when the animal learns. This replay of activity patterns during sleep happens in your brain too, hundreds of times each night. As a result, the connections between our neurons change, helping the patterns become embedded in the brain. In other words, sleep plays an indispensable role in storing our memories for the long-term. The “testing effect” is a well-established phenomenon in learning. Essentially, we learn much better by testing our own knowledge than by re-studying material. So if you’ve got an exam coming up, don’t just re-read a textbook and highlight important passages. Instead, test yourself by doing practice exams. The process of actively recalling information helps deeper learning take place, and it works even better if you can check whether your answer is correct. You don’t have to wait until exam time to capitalise on the testing effect. As you read through a textbook you can give yourself mini-tests, trying to recall the major points of each chapter you finish. Although researchers are still trying to figure out the brain mechanisms behind the effect, there is plenty of evidence for its effectiveness. When combined with spacing (below), practising recall is an efficient way to commit information to your long-term memory. Teachers and parents are always telling us cramming is the wrong way to learn, and for good reason. It just isn’t as effective as spacing your learning over days, weeks and months. This is known as the “spacing effect”. Whenever you practise something, you give your brain the opportunity to strengthen the connections between neurons. The strengthening process is similar to how hikers trampling through a forest create worn paths over time. The more hikers, the more distinct the path, just like repeated practice helps lay down strong neural pathways to store memories. Although the best spacing strategy isn’t known, we do know an expanding schedule is better than a contracting schedule. In other words, it’s better to review your course material after a day, then a week, then a month, rather than the other way around. If you learned music as a child, you probably remember one of the mnemonics for notes on a scale – for example “Every Good Boy Deserves Fruit” (E-G-B-D-F). Mnemonics like this make difficult things easier to remember. You can make up your own mnemonics for classroom concepts. For example, maybe you need to memorise the noble gases in the periodic table (He, Ne, Ar, Kr, Xe, Rn). Just make a crazy sentence out of it and you’ll find it much easier (for example, “he never argues, Krusty, xenophobic runt.” This one might only make sense if you watched The Simpsons). Another approach, and one frequently used by people in the World Memory Championships, is the memory palace technique (also called the “method of loci”). Your “memory palace” is a place you know well, like your house, or the route you take to the bus stop. You fill this palace with the things you need to remember, and then you re-create a path that takes you past all of those items. This technique relies partly on the fact that our hippocampus – the part of the brain where many memories are formed – is also crucial for navigation. Both anecdotal and scientificevidence show anybody can improve their memory using this approach. Finally, analogies and metaphors can be great tools for learning. For example, I hope that by comparing memory formation to hikers on a forest path, you’ll be more likely to remember a bit about how our brains lay down strong memories. You can create similar analogies in your own study, and if you combine it with good sleep, spaced practice, self-testing and undivided attention, you can take your learning to another level.